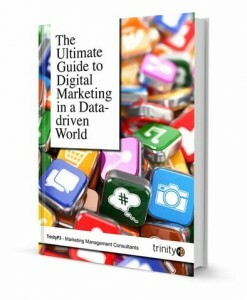 TrinityP3 is proud to announce the launch of The Ultimate Guide to Digital Marketing in a Data-Driven World. This definitive guide has over 27,000 words featuring insights, tips, observations, tools, platforms, strategies and much more. TrinityP3 Senior Consultant Anton Buchner is the author of the vast majority of this work with additional input from Founder & Global CEO Darren Woolley and Content Director Mike Morgan. We will be releasing this book as series of 11 posts over the coming weeks or you can go to this page to download the full book right now. Have you been asking yourself over the past couple of years how you can harness the power of digital, including social media, apps, Facebook, smartphones, tablets, Twitter, games, responsive design, conversational search marketing, ratings, reviews, e-commerce, advocacy, Pinterest, blogs, Tumblr, NFC (near field communication), and wearable tech to name a few? 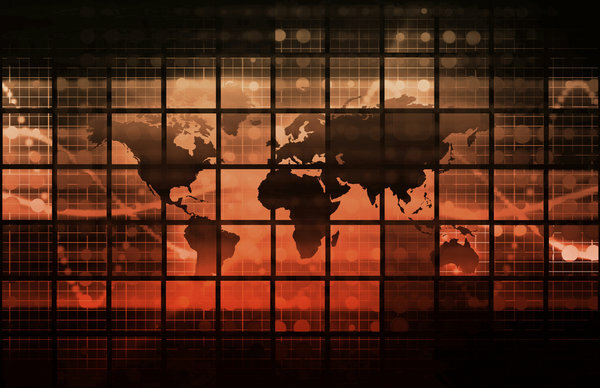 And with data being captured for every digital action – in fact, 90% of the world’s data has been generated in the past two years – are you getting a major headache from trying to find insights in your ‘life changing’ dashboards and executive data reports? Well, the good news is that you’re not alone – 91% of marketers don’t know if their digital marketing is working (source: Digital Distress: What Keeps Marketers up at Night?). We work in a digital, data-driven economy. We said goodbye to the industrial revolution long ago, and now we’re well and truly in the age of technology. Today’s marketing economy is not run by creative and media giants but by data scientists, content officers, chief technologists and the new CEOs (chief experience officers). Gut feel has given way to behavioural analysis and a whole new world in which proving (or disproving) a marketing return on investment is the priority. And with all this activity has come great confusion and chaos. However, as chaos theory has proved, within disorder can be found order – order in the sense of successful marketing strategies, improved customer satisfaction and, ultimately, profitable business growth. 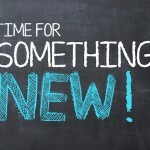 This new world brings great opportunities, and like all new opportunities, these require new learnings. These learnings in turn demand new skills, reassessments and actionable steps that will revamp your approach to marketing. Now as management consultants, we at TrinityP3 are constantly talking with clients who feel lost in today’s digital marketing world, unsure of how to proceed. Many senior marketers who were classically trained in the 4Ps are feeling increasingly out of touch in an age when social networks, advocacy and engagement rule discussion. Campaigns have given way to brands that need to be ‘always on’. One-off strategies have given way to the monitoring of consumer sentiment, the sparking of conversations and the delivery of relevance throughout a customer’s life cycle. So we have created the ultimate guide to digital in a data-driven world, to help you navigate the hype. This guide will not only demystify the world of digital and data by explaining how it works, it will also help you put some logic back into your marketing approach. There are no bells, no whistles, no hype. This guide simply aims to help marketers get back to basics and follow the path from confusion to clarity. In this chapter we highlight the array of statistics (which unfortunately will be out-of-date the minute you read them) and trends that have accompanied the rise of digital and data-driven marketing. In this chapter we put digital marketing into perspective, as a silo mentality no longer applies. We look at all the key channels and activity and define how they interrelate and fit into the marketing mix. Chapters 3, 4 and 5 delve into how best to approach digital marketing from a business and strategic perspective. They outline the need for marketing plans that map back to your business plan, and the need for clear objectives and measureable goals. They also describe the death of the marketing funnel as we know it. Importantly, Chapter 5 outlines the shift from product-centricity to customer-centricity, and the need to redefine customer segmentation based on emotional triggers, personas and behaviour. Chapter 6 explains the new art and science of creating digital marketing activity. This is no longer a linear process but involves a new approach that brings together creative ideation, compelling content stories, technologists and data scientists. This chapter will also help you reassess the internal and external resources that you will require in order to successfully evolve to next-best practice. Chapters 7 and 8 detail the impact of being ‘always on’, as well as the need for more flexible content calendars and more actionable data reporting. Chapter 9 looks at the importance of reskilling and realigning internal departments, including the C-suite, in order to effectively implement digital marketing in a data-driven world. And finally, we believe that to be successful, you will need a plan. So in this chapter we outline the framework for a 100-day plan to help you successfully navigate these new waters. 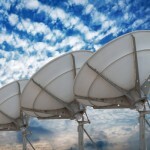 How do you manage a successful transition to a new agency?